Bismarck, the 19th century German Chancellor, spoke of “blood and iron” – by contrast R.M. Lamb speaks of the life of each state, small or large, above all Prussian military endeavours on the continent of Europe in the 19th Century. Bismarck came of Protestant Lutheran stock and was an East Prussian Junker Landlord who amassed considerable Landed estates. He was an intelligent diplomat who understood the great powers of continental Europe and their interplay with considerable assiduity. He started his career with Germany disunited and bequeathed a strong and united German nation to the Germans when he stepped down in 1890 aged 75 years. Did he apprehend the course of German history 1900-1945? There are signs he was conscious of the exposure of this modern Germany to a Franco-Russian alliance. However he was the arch diplomat and wielder of power in Prussia and Germany. His whole strategy was to isolate Germany’s enemies to which aim he succeeded with consummate skill. Bismarck essentially picked off Austria and France separately when they were not allied. Austria was defeated at Königgrätz in 1866 by Prussia and then Bismarck imposed harsh terms on Austria. Why did France not support the Hapsburgs in this campaign? Because France had defeated the Austrians in the Northern Italian battles of Magenta and Solferino previously (1859) and Bismarck traded on that Franco-Austrian antagonism. It was folly for France and Austria not to be in alliance in the face of German unification. Napoleon III and the Hapsburg Emperor were out manoeuvred. What came next? Bismarck’s knockout blow in 1870/71 against France (Sedan and Metz) paving the way for Germany’s smaller states to go national. Again Austria did not ally with France and France was picked off. Bismarck’s campaign in France 1870 forced the withdrawal of the French troops from the Papal States and thereby opened the gates for Garibaldi to liberate Southern Italy. Bismarck was an astute European Statesman of the highest order and he was well aware of all the interactions I speak of in this second paragraph. It has become very unfashionable to oppose nation statehood ever since 1919 and the Treaty of Versailles. Bismarck engineered national status for Italy and directly created a nation of great power in post 1871 Germany. Was there any alternative? I say yes – the Hapsburg Empire would have survived if it had not been sucked into the Great War by the German military machine in World War I. Moreover in 1918/19 Woodrow Wilson (US President) foolishly forced the dissolution of the Hapsburg Empire on the Treaty of Versailles (in 1919) with no proper debate. In any event the League of Nations was not given the impetus to create and retain an alliance of those states created out of the Hapsburg Empire. That alliance would have secured central Europe politically and militarily if the victorious allies and the USA through President Wilson had given proper undertakings for such a condominium. Leaving that aside, in the 1860s/70s France and Austria could have combined to protect a disunited Italy under French influence in the South and Austrian in the North, with the Papal States under the Pope. Clearly Bismarck connived, at the very least, at the Papacy’s loss of the Papal States – and thereby Italian nationhood. He was no friend of Pio Nono or the Roman Catholic Church in Italy. The sequel came quickly from a united Italy to the Black shirts, fascism and Mussolini from 1922-43 (the antithesis of all things Italian). Bismarck engineered this national Italy which to this very day cannot keep its head above water politically. Bismarck’s legacy in 20th Century Germany was far, far worse than his Italian legacy, yet he bequeathed both those residues to 20th Century Europe and what terrible harm they brought about, particularly in Germany. As regards to Germany there would have been no overdrive for unification if Bismarck had not, with his masterly touch, bought it about. There is no inevitability in nationalism e.g. The modern European Union is supra-national supposedly but I do favour secession and new Treaty arrangements Trans- Atlantic based on unilateral nuclear disarmament by the UK. One should not be too closely connected to the national model which is rooted in the European Union, despite the Euro and Brussels apparatus. Nation States should come together in amity and comity – yet Bismarck left a lasting legacy of German European hegemony, a weakened Hapsburg Empire and monarchy, an aggrieved France – and Russia allied to France against Germany in 1914. What a cost to unite Germany! If he had more foresight he would have allowed the pre-1870 princes and governmental institutions in Germany new and continued life and avoided aggrandisement at all costs. Germany and Europe was to pay a very high price for his determination to unite Germany, come what may. At one time under Bismarck the Germans did not desire unity – yet they came to support it somewhat slavishly. It is up to the leaders to go against the flow – Bismarck created the flood of nationalism in Germany and foolishly rushed after it. That is not true leadership of a strong nation. There is protection in numbers. Not for Germany where the structures of the various princedoms and lesser states were swept away by the on-rushing Bismarck. They had an ancient history as part of the Holy Roman Emperor’s fiefdom even until the 18th Century and linked to the Hapsburg (Austrian) Empire. These German smaller states could have joined to the new states formerly in the Austrian Empire when the Hapsburgs bowed out. There would have been the foundations for a radically new, strong and revitalised central Europe. Germany would have been truncated to Prussia alone. 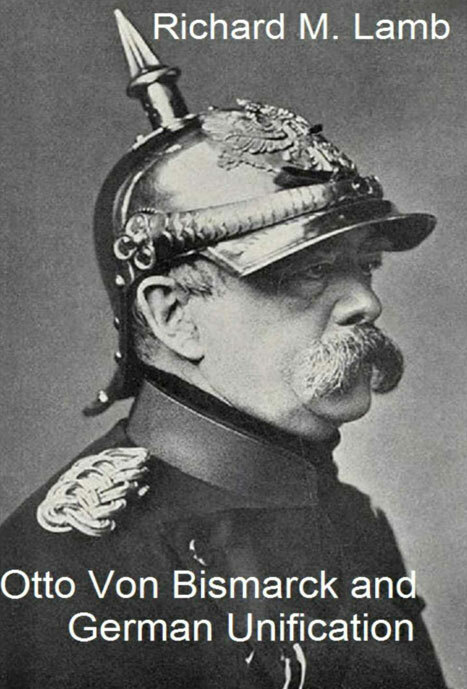 Bismarck served his Germany, not peace in Europe in the 20th Century, nor the 19th Century. He knew the dangers yet persisted with his Germanisation policy for the German cause even seeking colonies in Africa, which had no meaning to Germany. Bismarck lacked vision and did not foster long lasting bonds between the great powers. It is interesting he launched his Kulturkampf against Pio Nono’s First Vatican Council in 1870 – a truly European Council of Bishops. He regarded Pio Nono as a political enemy not a true pastor. The Pope espoused Catholic Germany and Bismarck simply repudiated that hand of amity, held out to him by Rome. Here again he misunderstood the goodness in Catholicism as he misinterpreted the German Kingdoms as ripe for being wiped out in unification. You could call Bismarck a distinctly antagonistic, autocratic and authoritarian statesman and you would be close to the mark. Bonhoeffer his fellow Lutheran, but a pastor who died in World War II in the camps, opposing the megalomaniac Hitter deserves the highest praise for selflessness. Bismarck left a lot to be desired in that respect.